Try this popular, delicious and easy to make Paneer Bhurji / Scrambled Paneer which is favourite for all ages, especially kids! This can be used as stuffing for sandwiches, parathas or kathi roll to make a wholesome meal. 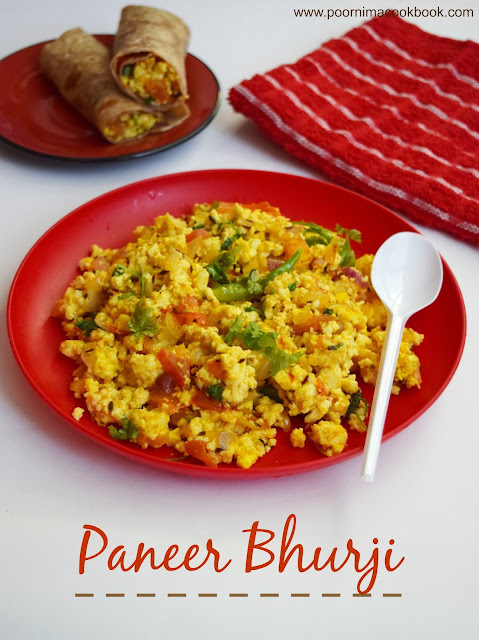 Try this calcium and protein rich paneer bhurji; make your kids healthy & happy! Thaw the frozen paneer and crumble using your fingers or mixer. Keep aside. Heat oil / butter in a pan, add cumin seeds. Once it crackles, add finely chopped onion and green chillies. Fry till onion becomes translucent. After that add chopped tomatoes, salt and spice powders. Saute well till the tomatoes become soft. Sprinkle water if the tomato mixture becomes dry. Garnish with coriander leaves and serve hot with chapathi / bread. 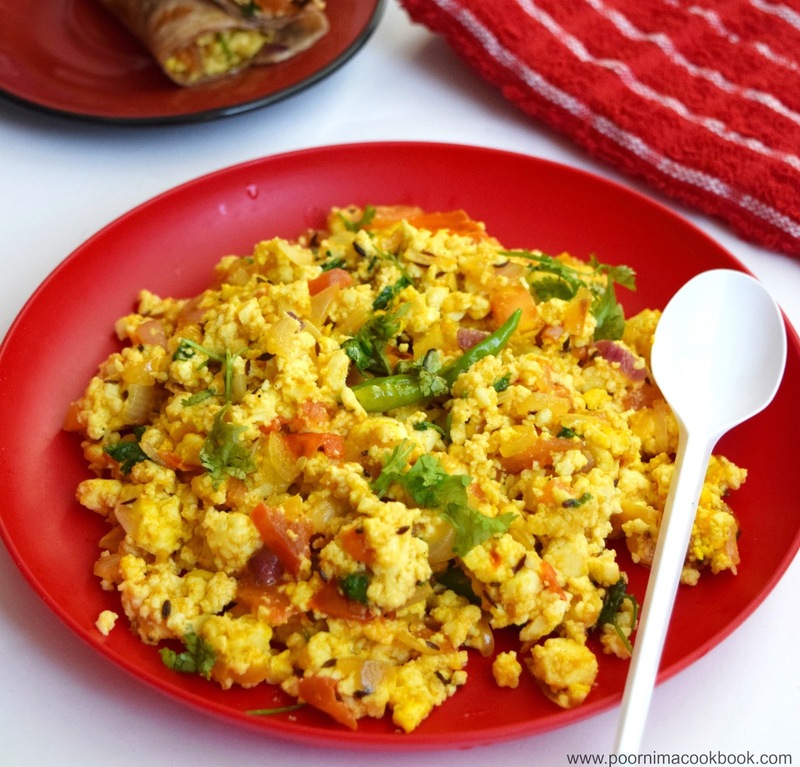 You can also add finely chopped capsicum along with onion and try. 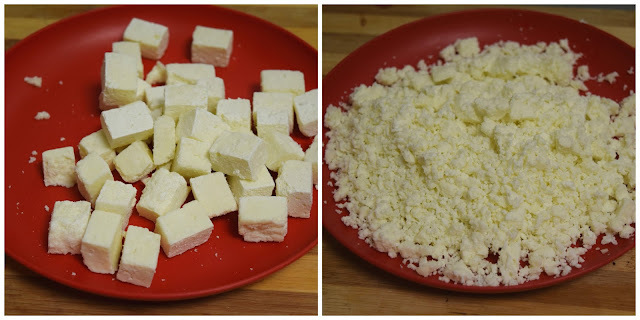 Don't fry paneer for long time; as it will turn rubbery in texture. 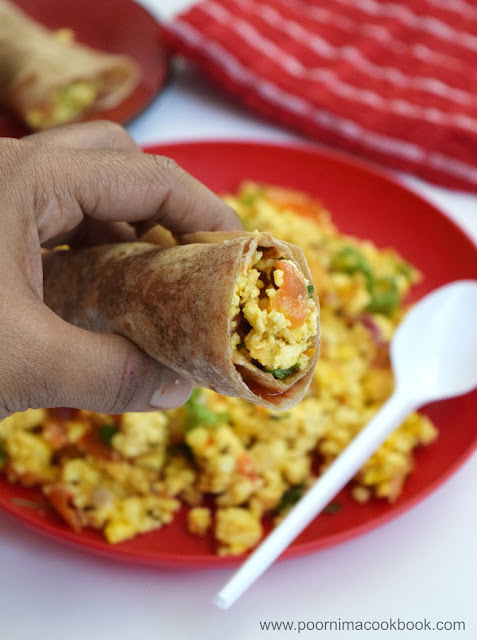 Instead of paneer, you can try this recipe using Tofu. bhurji looks really delicious poornima.